[SG] Da Paolo Gastronomia - Is 'Crodo' the new food fad? It seems like the food fad is a viral disease that always mutates into one form or another. Back in the days, there was the bubble tea craze and if anyone recalled, the rotiboy coffee buns, cupcakes and of course we all need something new to invigorate our palate. So, what is the new fun food in town? 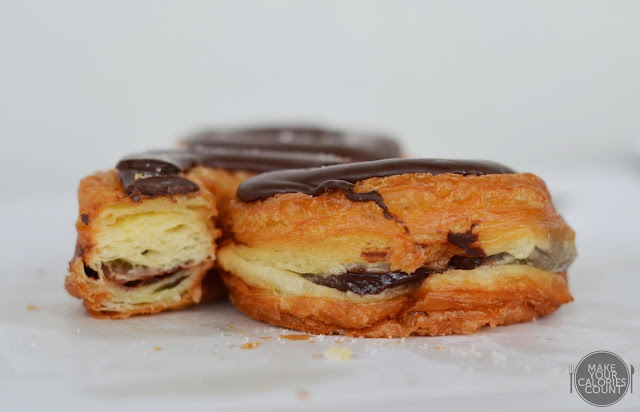 Welcome and hail the 'Crodo', which is described by some as an inventive hybrid between a croissant and donut. 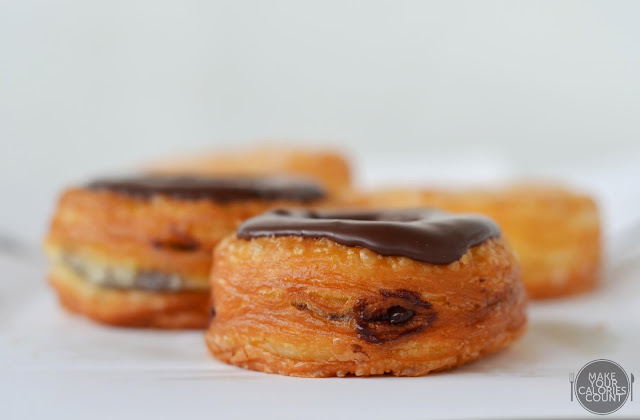 It was first introduced on 10 May 2013 by French Pastry Chef Dominique Ansel as 'Cronut' in his bakery based in New York City. Having previously worked at celebrity chef Daniel Boulud's restaurant, it spelt little surprise for an ingenious creation. With a trademark registered to the name, this dessert pastry had gone viral across half the globe. The Da Paolo Group was the first in Singapore to recreate its own version and named it the 'Crodo'. Currently retailing in limited servings of just over 100 pieces in each of the Da Paolo Gastronomia located islandwide, inquisitive Singaporeans seem to snap them up hard and fast. We first visited the outlet at Paragon Shopping Mall few evenings back and were told that 'Crodos' were sold out islandwide usually by the first hour of opening. Being a huge fan of desserts and pastries alike, we were determined to land our hands on some 'Crodos'. The response at the founding bakery was apparently so overwhelming that customers were advised to queue at 6 am, 2 hours ahead of their opening time and limited to 2 purchases per person. 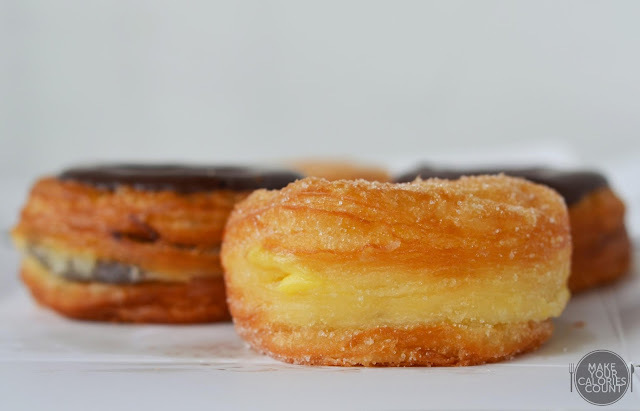 With just 200-250 cronuts a day and priced at USD5, it was pretty much sold out as soon as the queue gets cleared. 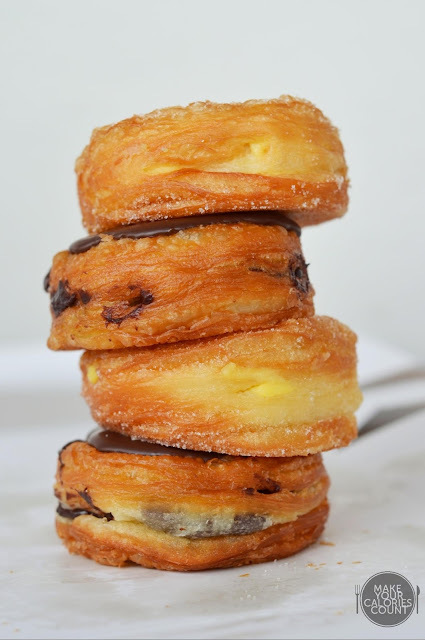 With celebrity fans such as Hugh Jackson being a patron, the fad had somewhat transformed into a craze where people actually practise cronut scalping, where foodies were willing to splurge a mark-up of up to USD30-40 per cronut, go figure. 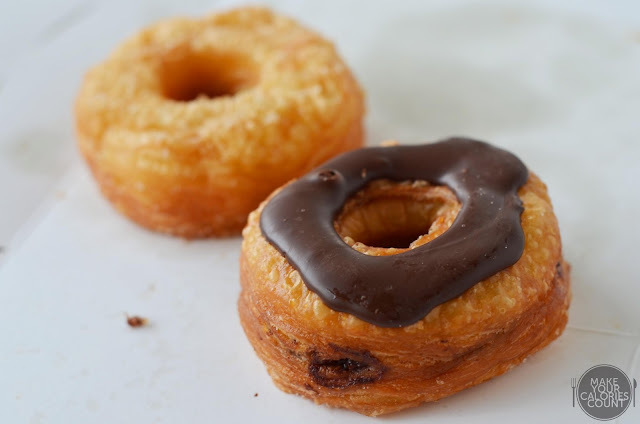 I had a fair share of experience in scalp trading financial derivatives and equities but scalp-trading croissant-donut is elevating to a whole new level of playing field. French chef Dominique Ansel arrived at the creation when he wanted to make a doughnut as a staff snack but it got improvised along the way and was infused into a croissant. Quite honestly, we found it an interesting cross-over between French patisserie and American junk food. With a process that took up to 3 days, it was no wonder why production could not be scaled to match demand. I was secretly imagining at the back of my head if it was simply deep-fried croissant dough and giving it an illustrious name to send foodies bonkers. I was dead wrong making inquiries and doing some research. 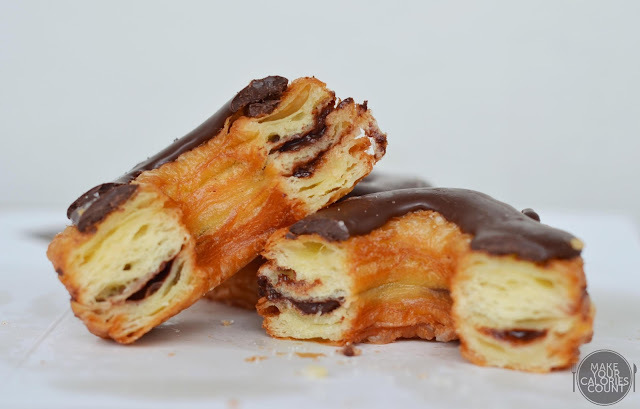 Bakers would be familiar with the notoriously tricky-to-handle laminated dough, which has been likened to a croissant to form the base of the cronut. It is first proofed and then fried in grapeseed oil at a specified monitored temperature. Now that I had hopefully portrayed a clearer picture of what this 'wow-ing' pastry dessert is all about, it is time to do the tasting! The cream crodo came across like a doughnut with it being coated with sugar on its crisp surface. 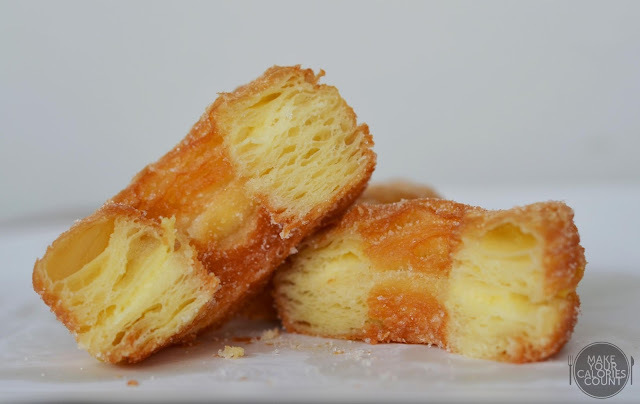 Being deep-fried, it was slightly greasy as you would expect that of a doughnut but what set it apart was that distinctive fluffy and soft dough on the inside with pockets of air. It was very much like what you would expect to see when you slice across a good croissant. It however did not have the flakiness that of croissants. Honestly, I am not sure if this was how it was meant to be for I purchased these at about 10.45am, so they might have been sitting on the shelves for a while. The custard cream tasted light and fresh and the filling was sandwiched between the layers of fluff. I thought that the amount of custard cream was disproportionately distributed when compared to the chocolate crodo. Nonetheless we enjoyed the mildly sweet custard cream which was well-received by our taste buds. It was definitely a good rendition of a croissant-donut with an exterior tasting like donut with the interior tasting like croissant. Texture wise, the chocolate version tasted almost the same with a crisp surface around the sides and a fluffy croissant interior filled with pockets of air. There was a dark chocolate fondant icing on the top similar to what you would get with an eclair pastry. The chocolate filling on the inside was packed full and one mouthful bite would send excess chocolate cream oozing out from the sides, mmmm talk about sinful indulgence! After a recent upsetting experience with chocolate filling at St Marc Cafe, my taste buds were due for pampering with this treat. The dark chocolate filling was of good quality and tasted rich, dense and bitterly sweet. While I thought that the crodo might taste better fresh, possibly a flaky and crispier texture, I was contented with what I had and there was no better way to enjoy it over a cup of Black Americano. Simply brilliant. While these crodos would make a good entry as tea break snacks, be warned that it is calories-laden and no doubt a very sinful indulgence. Would we return for more? Certainly but next time round, I would want to get a fresher batch to see if they tasted better and of course fix that sweet-tooth craving! It took me quite a while before I managed to locate this outlet at Marina Bay. The location was pretty secluded, tucked quietly at a corner on the ground floor, seemingly blocked by pillars and walls. Perhaps that was the reason why I managed to get my hands on these crodos! P.S: These crodos may be found at all Da Paolo Gastronomia outlets islandwide, please click here for list of outlets and their respective addresses. Thanks for dropping by and the kind compliments! Though its calories-laden, the 'crodos' are definitely worth a try! Do let us know how you find it after you had tried them! !